Welcome to The Rectory Middle School, a community of educators committed to bringing out the best in each of our students. Rectory prides itself on taking every child where they are and nurturing them to realize their fullest potential. We do this through a dynamic program with student engagement as the cornerstone of our educational philosophy. In the classroom, through the arts, and on the athletic field, students are encouraged to stretch their intellectual, creative, and athletic limits. The result is a transformation that allows us to send forth into our world a confident, inquisitive, and independent global citizen. Please feel free to contact me or inquire online regarding the above, and any other questions you may have about Rectory’s Middle School. For the third year in a row, Mr. Finnegan took his media communications class to Nichols College for a first-hand look at their visual media studio. Join us on the Rectory campus this summer for our day camp. Read more about Summer is on Its Way! These three subjects all have something in common. They are part of the diverse spring middle school elective offerings offered by faculty this term. Every spring students begin the spring term at Rectory with MELP (March Experiential Learning Program). Students and faculty travel all over the United States to take part in different programs and participate in community service. Mrs. Bessette and Mr. Finnegan have been hard at work this spring working on the musical which will take place on May 22-25, 2019. This year's musical will be Once On This Island, JR. and will be performed on the P.Y. & Kinmay Tang Performing Arts Center. Ms. Sangiolo accomplished a professional goal this month by completing her 60- hour certification in Teaching English to Speakers of Other Languages. Save the date to join us for our spring family weekend. Maya B. 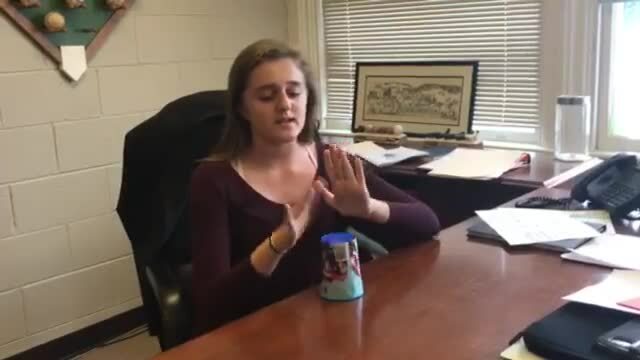 '20 uses her love of music to create an algebra "Cups" song. Rectory students are so talented! "Mrs. Martin uses experiments and examples to help us better understand her lesson. I am able to get help from her whenever I request it." "This class made me start to love reading!"